I am a big fan of using the tax assessors site in your business, not because the tax values reflect what you can sell a property for (because they don’t). Sometimes they are pretty accurate, but in a lot of other cases they aren’t even close. I have found that to be true especially in the harder hit areas where home values are concerned. The tax assessments are often much higher than what a property can be sold for. So why is it that I am still a fan? That’s because it is still a great resource. I use it all the time. Whenever I get a seller on the phone, the first thing I do is pull up the tax assessors site while I am talking to them. One of the things I like best about it is that you can see a picture of the house. I can get a feel for the type of property it is just by looking at the picture and seeing the exact neighborhood it is in. The listing will also tell me basic information like the age, square footage, the number of baths, whether or not it has a garage, and there will also be a sketch of the property. I have spoken about using a property information form when I talk to the sellers. By pulling up this site as you are speaking to them, you can begin filling in some of the information you need to gather from the seller. If you notice that the house has a detached garage, in the course of the conversation the seller might mention that they just added a new garage door and door opener. That is valuable information you just got without having to ask for it. One thing I have found that is consistently wrong about older homes is the presence of central air conditioning. Many times it wasn’t installed when the house was built, but it has been added since that time. If it says there is no central AC that is not necessarily true. Be sure to verify that information with the seller. Also, the square footage may have not been updated if there was an addition to the property. On our site there is direct link to the sheriff’s office where you can find out if the property taxes are paid. If there are back taxes owed, you can find out how much those are too. You will also find detailed maps of the area which come in handy. 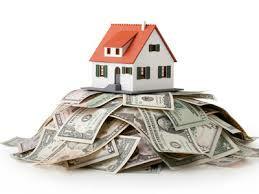 It is very useful to be able to see the changes in the value of the property over time. The sales history tells the rest of that story. All of this information can be put to use when making offers on a property. Is this house going up in value over time, or is it in a declining neighborhood? If you are working in the niche of probates, the property will have often been transferred into the name of the executor or personal representative. Or you may be able to see that the house has been transferred into the name of the living spouse, so that is not someone you would want to send a probate letter to. This site is very useful for probate investors. I have been told by other investors that they can get access to all of the information without a subscription. But in my area and in many other areas, you will need a paid subscription. It is $30 a month for full access to our site and I can tell you it is a bargain. Be sure to check out this website for your area. You really need to have access to this site if you are a real estate investor. I have made a short video on using the tax assessors site. To find your local site, just Google “Tax assessor’s site + your county”. Nice article. Sounds like there is a wealth of useful info at the Tax Assessor’s site. I use it all the time Terry. In fact, I pull it up every time I talk to a seller. I hope you are doing well. Great ideas and I use them constantly. In California we have two problems you don’t have. First, with Prop 13, houses are generally assessed at the value of the last sale price. So, one house may be assessed at $30,000 (sold 30 years or more ago) but the house next door is assessed at $800,000. Second, state law limits the information that can be published online. So, I have to go to the county Assessor’s office to look up the data. Perfect job for a high school assistant. I guess we really do have it easy here. For the price of the subscription, you can sign in and get it all. We have the same problem here with regards to the last sale price. It really messes up the comps too. One more thing I use it for is finding landlords in the area. I did a video a while back on how I figured out who owned the property on a particular street when I had a house I wanted to sell quick. Just by pulling up that street, there were probably about a dozen landlords with multiple properties.